Just to attract us to His service, God appeared on earth more than one million years ago as Lord Ramacandra the most benevolent ruler and valiant hero the world has ever known. The incarnations of Godhead are as numerous as the waves of the sea, yet Krsna, the original Supreme Personality of Godhead, is the source of them all. Just as from one original candle we may light many other candles equal in potency, so Krsna expands Himself in many incarnations, each as powerful as Himself. Each incarnation has the same objective in human society namely, to establish the principles of religion and to destroy demonic, irreligious influences. To accomplish this mission, the Lord once appeared as Sri Ramacandra, the ideal God-conscious king. The poet Valmiki tells the full history of Lord Ramacandra in theRamayana, and the great sage Sukadeva Gosvami summarizes the Ramayana in the Srimad-Bhagavatam. To this day people in India worship Lord Ramacandra in thousands of temples and regard His reign the famous “Rama-rajya” as the model of God-conscious government. Lord Ramacandra appeared in India more than one million years ago as the son of the great saintly king Maharaja Dasaratha. Early in His life the Lord began ridding the world of unwanted, irreligious elements. In the sacrificial arena of the sage Visvamitra, He killed many Raksasas (demons). Later He married Sita, who is actually the Goddess of Fortune (His eternal consort) and the universal mother. Lord Ramacandra entered the assembly of kings and heroes from whom Sita was to choose her husband. Sita’s father, King Janaka, had declared that whoever could break the bow of Lord Siva would win Sita’s hand in marriage. This bow was so heavy that it took three hundred men to carry, but Lord Ramacandra bent it and strung it and broke it in the middle, just as a baby elephant breaks a stick of sugar cane. In that way He achieved the hand of Sita, who was equal to Him in the transcendental opulences of beauty, behavior, age, and nature. In Vedic times it was the custom that a man could have more than one wife, and Lord Ramacandra’s father, Maharaja Dasaratha, had three. Since the one named Kaikeyi had served him very pleasingly, King Dasaratha had granted her a benediction. However, the prudent Kaikeyi had said she would ask for this benediction later, and the king had agreed. When the time came for the coronation of Prince Ramacandra, who was the son of one of Kaikeyi’s co-wives, Kaikeyi requested her husband to enthrone her own son, Bharata, instead and to send Ramacandra to the forest. Aggrieved but nonetheless bound by his promise, Maharaja Dasaratha ordered Ramacandra to go to Dandakaranya Forest for fourteen years, and the Lord, as an obedient son, followed the order immediately. He gave up His kingdom, palace, opulence, friends, and everything else. Then He went to the forest with Sita and His brother Laksmana. While wandering in DandakaranyaForest, Lord Rama and His companions faced many dangers. On one occasion they encountered Surpanakha, the sister of the ten-headed demon Ravana. Because Surpanakha approached Him with lust, Lord Ramacandra cut off her ears and nose. Then he annihilated her fourteen thousand demonic friends with His invincible bow and arrows. When Ravana heard about the beautiful features of Lord Ramacandra’s wife, Sita, he also became agitated with lust-and he formulated a plan to kidnap her. Ravana ordered the mystic yogi Marica to assume the form of a golden deer, approach Ramacandra’s forest campsite, and in that way distract the Lord. By the Lord’s own arrangement, the ruse worked. When Lord Ramacandra saw that wonderful deer, He followed it for a great distance and finally killed it. Meanwhile, seeing that both Laksmana and Ramacandra were out of the way, Ravana swiftly kidnapped Sita, just as a tiger seizes unprotected sheep when the shepherd is absent. Although a large bird named Jatayu tried bravely to stop Ravana’s attack, Ravana defeated him and cut one of his wings. When Lord Ramacandra returned and found Sita missing, He behaved as if very much distressed, and He and Laksmana began to search for her. They came upon the dying Jatayu, who told Ramacandra how Ravana had taken Sita Then Lord Ramacandra went on to kill a demon named Kabandha, and afterward He made an alliance with Sugriva, Nila, and Hanuman, the chiefs of the monkeys. They promised to help Him save Sita from Ravana, who had removed her to his island kingdom of Lanka, present-day Ceylon. Lord Ramacandra thus ordered His mighty monkey soldiers to lop off mountain peaks trees and all and throw them into the water. By the Lord’s supreme will, they began to float. (This is not very remarkable. By the same supreme will, countless planets are floating in the vast ocean of space. The Lord is never limited by the laws of nature, because nature is under His complete control.) Then, to rescue Mother Sita, Lord Ramacandra and the monkey armies headed by Sugriva, Nila, and Hanuman marched across the Indian Ocean on the bridge of floating stones and launched an assault on Lanka, Ravana’s capital. The monkey soldiers immediately occupied all the strategic points, such as the city gates, granaries, treasuries, and assembly houses. The attack was so devastating that the entire city of Lanka appeared like a river disturbed by a herd of elephants. 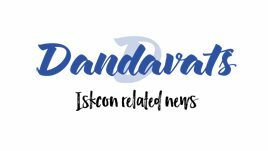 When Ravana saw what was happening, he summoned his army of Raksasas and led them into a fierce battle with the forces led by Lord Ramacandra. The Raksasas had all kinds of sophisticated weapons and rode proudly on elephants, horses, and chariots. However, condemned by the curse of Mother Sita, the Raksasas had lost all good fortune. Thus, even though Lord Ramacandra’s devoted monkey soldiers were armed with little more than tree trunks, huge boulders, and crude clubs, they were able to kill all of Ravana’s henchmen. Transcendental, spiritual power always defeats the power of materialistic demons. Although the monkeys’ weapons were primitive, the Lord fought on the monkeys’ side-that was the decisive factor. Thereafter, Lord Ramacandra found Sita sitting inside a small cottage deep within a forest of Asoka trees. Seeing how lean and thin she had grown due to her captivity and separation from Him, the Lord felt great compassion for her and came before her. When she saw her beloved husband, her joy knew no bounds. Then Lord Ramacandra raised Sita onto a flower-bedecked airplane and boarded the plane Himself, along with Laksmana, Hanuman, and Sugriva. Together they flew back to Lord Ramacandra’s capital, Ayodhya. The Lord’s fourteen-year exile had ended. As Lord Ramacandra approached Ayodhya, the princely order greeted Him with showers of beautiful, fragrant flowers, and common citizens offered Him garlands and danced in great jubilation. Women sung poetic prayers and professional reciters chanted His glories. Seated beside Mother Sita on His airplane of flowers, Lord Ramacandra appeared like a beautiful full moon rising amidst glowing stars and planets. Lord Bharata had been ruling Ayodhya in His brother Ramacandra’s absence. When Bharata heard the news of Ramacandra’s return to the capital, He immediately took Ramacandra’s wooden shoes upon His own head and came forth with His retinue to receive Him. Ministers, musicians, priests, and learned brahmanas joined the royal reception party. The musicians vibrated pleasing music while the brahmanas loudly chanted the Vedic hymns, and beautiful horses with golden harnesses drew gaily decorated chariots. Many soldiers and servants bearing precious gifts followed in the procession. His heart melting with affection and His eyes overflowing with tears, Lord Bharata approached His brother and fell at His feet in deep ecstatic love. After offering the wooden shoes before Lord Ramacandra, Lord Bharata stood before Him with folded hands. Then Ramacandra embraced Bharata for a long time, all the while bathing Him with tears of joy. Finally, Bharata fervently requested His elder brother to accept the throne, and Ramacandra agreed. Lord Ramacandra began His reign as emperor by sending His brothers out to conquer the world and establish His authority. Meanwhile, He personally supervised the affairs of His kingdom for the benefit of all the citizens. In fact, He cared for the citizens exactly like a father. He saw to it that everyone observed religious principles, and as a result everyone was completely happy. During the reign of Lord Ramacandra, the bountiful earth freely supplied the necessities of life for all living beings, and all physical and mental suffering disease, old age, bereavement, lamentation, distress, fear, fatigue were completely absent. For those who did not want it, there was even no death. Lord Ramacandra vowed to accept only one wife and to have no connection with any other woman. He was a rajarsi (saintly king) and everything in His character was perfect. Thus He taught the general public by His personal example. 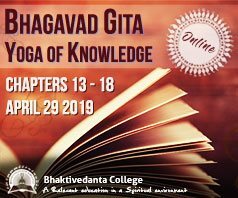 Especially exemplary was His behavior towards the brahmanas, the spiritual teachers of society, who in Vedic times held a higher social position than even the ruling kings and princes. Thinking that the brahmanas’ unselfishness entitled them to possess the entire world, Lord Ramacandra gave them all the land and wealth in His kingdom east, west, north, and south. Upon receiving the gift, the brahmanaswere very pleased and spoke to the Lord with great affection: “O Lord, You are the master of the entire universe. What have You not given us? You have entered the core of our hearts and dissipated the darkness of our ignorance by Your effulgence. This is the supreme gift. We do not need anything else.” So the brahmanas remained satisfied with only the bare necessities of life and returned all the land to Lord Ramacandra for Him to rule, with their blessings. To ascertain what the citizens of Ayodhya thought of Him, Lord Ramacandra would sometimes walk among them incognito. One night while He was walking about in disguise, He happened to hear a foolish man of heinous character criticize Mother Sita. To his own unchaste wife the man said, “You go to another man’s house, and therefore you are unchaste and polluted. I shall not maintain you anymore. 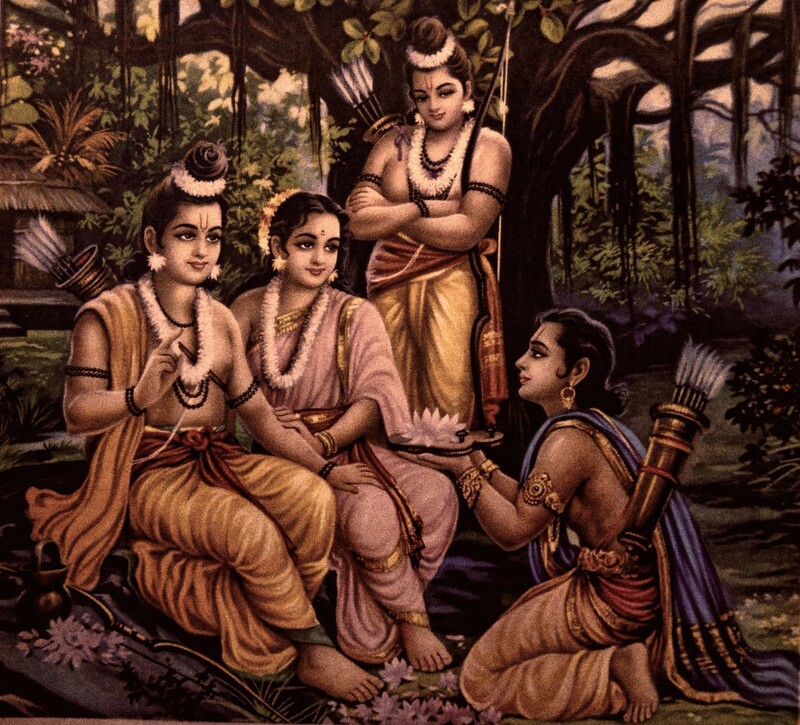 A henpecked husband like Lord Rama may accept a wife like Sita, who went to another man’s house; but I am not henpecked like Him, and therefore I shall not accept you again.” Although such talk was sheer nonsense, Lord Ramacandra nonetheless feared that it might ruin His reputation as a religious ruler. Thus He parted from His wife, who was then with child, and she retired to the hermitage of Valmiki Muni. After giving birth to two sons, Sita absorbed herself in meditation upon the lotus feet of Lord Ramacandra and then entered into the earth, unable to bear the separation from her beloved husband. Upon hearing of Sita’s fate, Lord Ramacandra was apparently overcome with grief. (Actually, the Lord can never be disturbed by any mundane emotion. In reality He felt the intense spiritual bliss of separation from the beloved, which can be experienced only on the highest transcendental platform.) Thereafter, Lord Ramacandra observed complete celibacy and performed an uninterrupted fire sacrifice for thirteen thousand years. After completing the sacrifice, He returned to His eternal abode in Vaikuntha, the spiritual sky though He remains in the hearts of those who always think of Him. All the citizens of Ayodhya accompanied Lord Ramacandra to His planet, where He reigns eternally with Mother Sita (the Goddess of Fortune), His brother Laksmana, and His faithful monkey servant Hanuman.